It does look fun, still to try on my dog! Omg, that is such an odd book! Is it like a fiction novel or a non-fiction??! My dog is very smart too...I mean, SOMETIMES. He understands tons of words and he's excellent at getting into things he's not allowed. -_- But he's not very smart at realising that when we leave the house we are coming back for him. XDXD Poor little fluff ball. hehe. Non fiction!! My dog is the same she looks out the window with that look every day and bless her she is over the moon when we come home at the same time every day! Omg what a cute book! I've never heard of it before but it sounds so fun - thanks for bringing it to my attention! The cover is ADORBS. But this is like, actually talking about quantum physics! 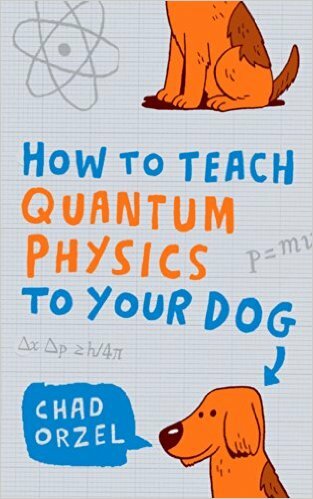 I was reading the reviews like "wait- this really IS a dude talking about ACTUAL physics with his DOG?!" 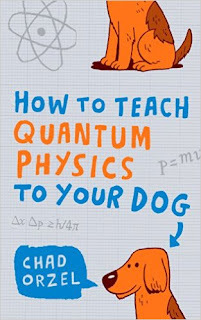 and then I didn't know if I should feel stupid for not even understanding what quantum physics is, or normal because I don't teach it to my pets. Bwhahahha LOVE this one! LOL the things people come up with. I love it too, I don't quite understand a lot of it, what hope does my dog have! !